Building 4220 is the first major replacement building in the main administrative 4200 complex at the Marshall Space Flight Center. The project replaces an existing facility with a new five-story, 150,000-square-foot administrative building. Designed to be energy and operationally efficient, the new facility includes a large atrium gathering space, open office areas, a variety of conference rooms, collaboration space, balconies and information technology support spaces. 4220 is LEED Silver Certified. Massing and use of glass and metal elements that are aesthetically compatible with existing 4200 complex and the historic Marshall Space Flight Center. Building and site designed as part of an integrated campus master plan, incorporating a future quadrangle and greenway to enhance the pedestrian-friendly nature of the complex. 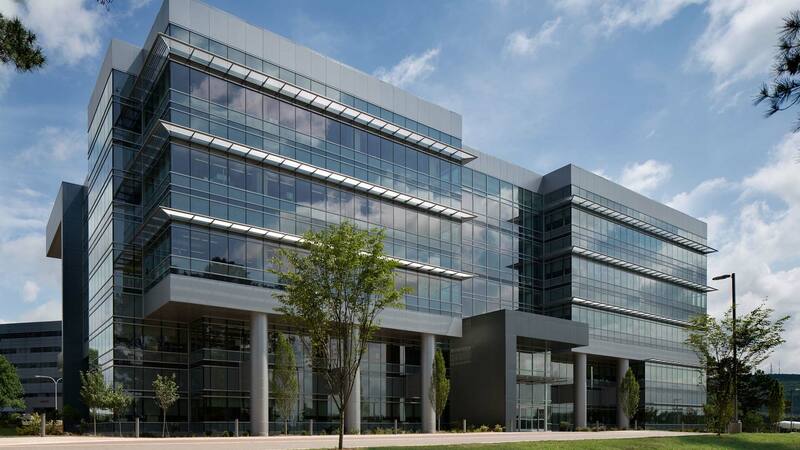 NASA Building 4220 has been awarded LEED Silver certification from the USGBC. Some sustainable features include solar photovoltaic panels, HVAC energy recovery units, a rainwater collection cistern supplying irrigation water, permeable hardscape plaza pavers, and native landscaping.